The gathering appeared to be the typical "going nowhere" event, but this time Russian Foreign Minister Sergei Lavrov visited Turkmenistan at the same time the special working group was conducting a meeting at the deputy foreign ministers' level. Adding to such suspense as there was, Iran is about to reemerge on world markets and this fact must have altered the routine discussions of the special working group to some extent. Reports about the January 28 portion of the deputy foreign ministers' meeting seemed to indicate it was business as usual. My favorite part was the line in nearly every report that the "heads of the delegations expressed the positions of their states regarding the legal status of the Caspian Sea." Representatives of the five countries have been meeting on the topic for some 20 years. This was the 43rd session of the special working group. It is difficult to believe the positions of the countries are not well-known by this point. The big issue, as the case has been for more than two decades, is: What is the legal status of the Caspian? If it is a sea, then all five countries map out their territorial waters and exploit the resources as they see fit. 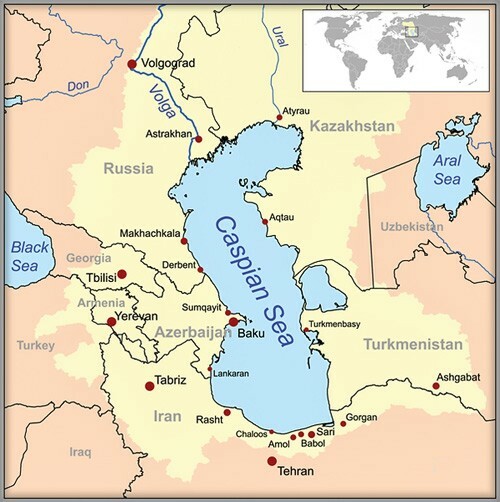 If the Caspian is designated as a lake, the so-called condominium approach would be in effect, meaning all the resources of the Caspian, and profits from those resources, would be split equally among the five countries. In fact, all five have already been developing sites in what would be their territorial waters. The real point of disagreement is over major bilateral projects such as the proposed Trans-Caspian Pipeline (TCP) that would involve shipping Turkmen gas across the bottom of the Caspian to Azerbaijan and then to points farther west. Turkmen state media (essentially the only kind of media Turkmenistan has) reported the positions of the five countries grew closer during this latest working group session, but that is pretty much what they say every time they meet. Absent from reports was any mention of whether Iran's position on the Caspian has changed. With some sanctions being lifted on the Islamic republic in connection with Tehran's agreement with world powers on a landmark nuclear deal, Iran is preparing to resume sales of oil and gas on world markets. 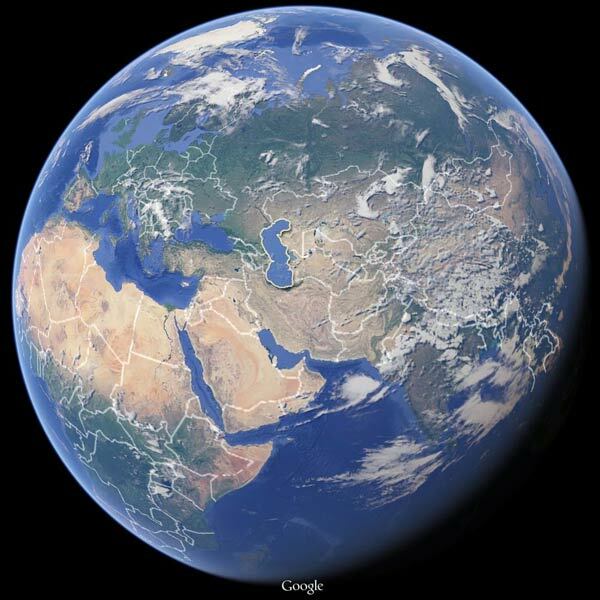 It is not yet clear what influence that might have on Tehran's position regarding the status of the Caspian Sea, though it is likely Iran will continue to oppose the construction of the TCP, which now more than ever is a competitor project to Iran's own sales of gas. Still, Iran might alter its position on the Caspian if there is any chance that would help draw investors to help develop the Iranian sector. It is also possible that, if Iran successfully reenters the global oil and gas market using other export routes, Tehran might not care so much about affairs in the Caspian Sea. The presence of Lavrov in Ashgabat while the special working group was meeting there as well seems more than a coincidence, though officially Lavrov was in Turkmenistan to open the new Russian Embassy building. Russian-Turkmen ties, rarely good, are currently worse than usual due to several issues, the status of the Caspian Sea and Turkmen gas exports among them. Turkmen and Russian media noted that the status of the Caspian was a topic of discussion when Lavrov met with Turkmen President Gurbanguly Berdymukhammedov. While Lavrov said the approaches of Russia and Turkmenistan to the status of the Caspian were "close," he offered no details; and it is difficult to see how that is possible. Berdymukhammedov mentioned, as he almost always does during visits by foreign officials, the need for the diversification of energy export routes, particularly from the Caspian region as a means of ensuring global energy security. Lavrov did not comment directly on that statement, but the Russian foreign minister did mention the possibility of Turkmenistan opening up a transport route with Russia. Berdymukhammedov said the idea had "potential," neglecting to point out there already was a transport route between the two countries that has almost completely closed as ties between Moscow and Ashgabat worsened. Lavrov also met with Turkmen Foreign Minister Rashid Meredov, but reports of that meeting -- and of Lavrov's meeting with Berdymukhammedov -- made no mention of Russia's decision to drastically cut imports of Turkmen gas last year and totally cut those imports this year. Turkmenistan's Foreign Ministry has released a series of angry statements about Russia's decision to decrease, then cut, Turkmen gas imports, but the issue seems to have been strategically omitted during Lavrov's visit.